As a dentist, Dr. Dovidio loves helping her patients and making their experience more comfortable, as opposed to an event to dread. Her goals are to create long-term relationships between our team and our patients that establish a sense of trust based upon our tradition of warmth and caring, provide dental services and techniques with an emphasis on patient education and prevention, and do both at a level higher than our patients have ever experienced. Dr. Sahar Yaftaly strives to help every patient achieve a healthy smile. Her passion for dentistry began by volunteering at the Free Clinic of Simi Valley where she met her mentor, Dr. Josie Dovidio, who inspired her to pursue a career in dentistry. Her desire is to make every patient feel as if they are part of the family and offers enthusiasm while providing high quality comprehensive dental care. Dr. Sahar Yaftaly is a Simi Valley native and is thrilled to be able to serve the community in which she was raised. We like our patients to feel at home when they come to our office – to enter as patients and leave as friends. Our purpose is to provide quality care for the entire family, with the advantages of modern technology paired with the comfort of an old-town private practice. Dr. Josie Dovidio and Dr. Sahar Yaftaly welcome you to our Simi Valley office, where our team will make you feel as if you’re part of the family. We hope you’ll enjoy our surroundings and take pleasure in the comforts we offer. As we’ve had painted on our wall in the waiting room: “May all those who enter as patients leave as friends.” We love our patients, and want to take the best of care of you. 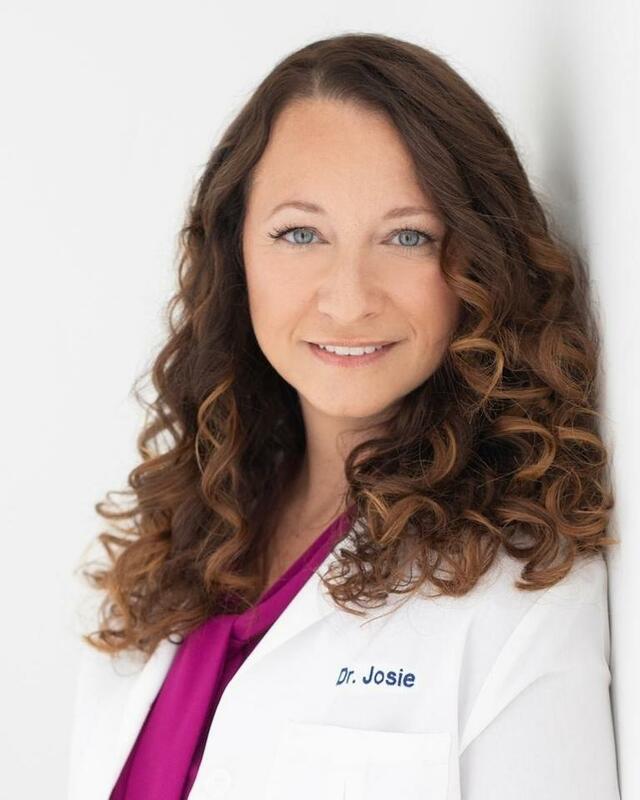 Dr. Josie Dovidio was born in Chicago, IL. Her parents moved to Southern California when she was a teenager, and Dr. Dovidio completed high school at Birmingham High School in the San Fernando Valley. She returned to Illinois to earn her DDS (Doctor of Dental Surgery) from Northwestern University Dental School in 1997, graduating with honors. She then returned to Southern California to complete advanced training at the Veterans Administration Medical Center in North Hills, where she served as Chief Dental Resident. Dr. Dovidio teaches in different areas of dentistry, including clinical instruction at the UCLA School of Dentistry and Pasadena City College’s Dental Hygiene Program. She stays current with dentistry advances, completing several continuing education courses each year, and is a member of the American Dental Association, the California Dental Association, the Santa Barbara – Ventura County Dental Association, and the Academy of General Dentistry. Dr. Dovidio spends her spare time with her husband, two sons, and Maltese dog. She is actively involved in church activities, charitable organizations, and providing dental care to disadvantaged individuals at the Free Clinic of Simi Valley. In February 2010, she went to Uganda to provide charitable dentistry to orphans in remote areas of the African bush. She contributes to two magazines and enjoys cooking, yoga, reading, entertaining family and friends, going to the beach, and being a soccer mom. As a dentist, Dr. Dovidio loves helping her patients and making their experience more comfortable, as opposed to an event to dread. 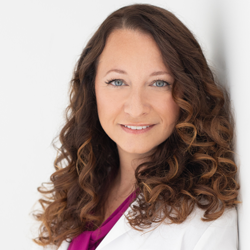 Her goals are to establish long-term relationships between our team and our patients and to create brand-name recognition for our practice that is based upon our warmth and caring, providing dental services and techniques with an emphasis on patient education and prevention, and doing both at a level higher than our patients have ever experienced. 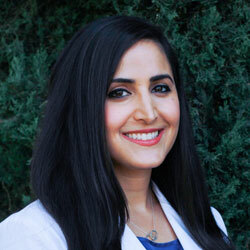 Dr. Sahar Yaftaly was born in Granada Hills, CA and grew up in Simi Valley. Her passion for dentistry began by volunteering at the Free Clinic of Simi Valley where she met her mentor, Dr. Josie Dovidio, who inspired her to pursue a career in dentistry. After graduating from UCLA with an undergraduate degree in Psychobiology, Dr. Yaftaly attended the Arizona School of Dentistry & Oral Health in Mesa, AZ where she received her DMD (Doctor of Dental Medicine) and certificate in public health with a dental emphasis. She then returned to California to complete a General Practice Residency at USC, during which she treated Veterans in downtown Los Angeles and medically compromised patients at the LAC+USC Medical Center. Dr. Yaftaly is excited to be back in Simi Valley to serve the community in which she was raised. She is a member of the American Dental Association, the California Dental Association, the Santa Barbara-Ventura County Dental Society, and the Academy of General Dentistry. She enjoys keeping up with the latest advancements and technology in dentistry through continuing education courses. She volunteers both locally and globally, and has participated in mission trips to Honduras and the Dominican Republic to provide dental care to underserved populations. Dr. Yaftaly is committed to treating every patient like family and offers enthusiasm while providing quality comprehensive care. In her free time, Dr. Yaftaly enjoys spending time with family and friends, staying active with workout classes, and snowboarding. She is a basketball enthusiast and diehard Lakers fan. She also loves trying new restaurants and is always on the hunt for new food adventures! Sarah is a graduate of Concorde Career College in Garden Grove, CA, with an associates degree in dental hygiene. Prior to attending Concorde, Sarah worked as a dental assistant for three years. She plays a vital role on our team, giving our patients superb, compassionate care along with educating them on the significance of correct daily oral hygiene. In her spare time, Sarah enjoys the company of her family, friends, and her two cats; she also is an active volunteer at the Simi Valley Free Dental Clinic and participates in her local church. Brittany, a Simi Valley native, has known since age 15 that she wanted to be a dental hygienist. She proudly graduated from the Dental Hygiene Program at Pasadena City College and is passionate about her work. She enjoys all that the outdoors has to offer - snowboarding, mountain biking, dirt biking and surfing. She loves spending quality time with her family and friends and has a huge heart for all kinds of animals and a house full of them to prove it. To learn more about her, click here. Suzanne’s varied experience includes work as a human resources manager, piano teacher, and home-schooling mom to her two sons. As Dr. Dovidio’s administrative assistant, Suzanne schedules appointments, oversees various office responsibilities, and submits insurance claims. When not at the office, Suzanne spends time with her family, plays the piano, and plays ball with her Australian Shepherd. To learn more about Suzanne, click here. Kayla graduated from Moorpark High School and studied dental assisting at Everest College. She has enjoyed becoming an essential part of our team and strives to provide our patients with the finest dental care in restful surroundings. Her favorite activities include boating, camping, being with family and friends, and visiting Disneyland. To learn more about Kayla, click here. A Simi Valley native, Sarah is excited to be back in California after living in Texas for several years. She is happy to be working with a great team and enjoys meeting our new patients. Her goal is to help patients get to where they want to be with their dental health goals. In her free time, she enjoys practicing yoga, exploring Southern California with her fiance' and spending time with family and friends.